Article written by Melissa, an undergraduate student in the Arts Management program (BSAM) with a focus on music at SPEA. 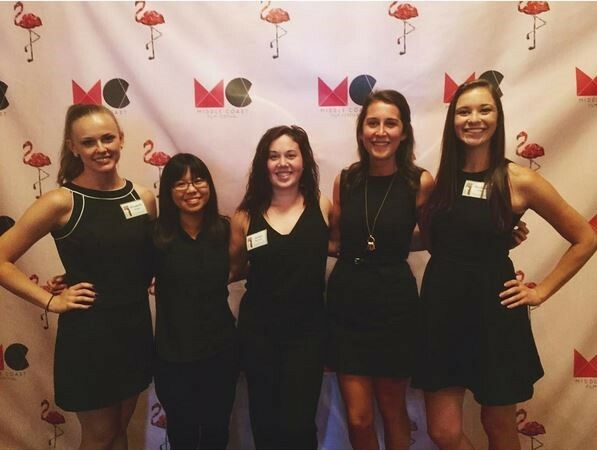 During the academic year, Melissa serves as Vice President of the IU Music Industry Networking Club (MINC) and interns with Spirit of ‘68 Promotions in Bloomington, IN. This summer she is currently interning with Buskirk-Chumley Theater in Bloomington, IN. When not working events at the BCT, Melissa loves to enjoy a great cup of coffee and live music of all genres. Connect with Melissa on Twitter @its_sommer_time and Instagram @melissa_sommer. As I finish out my final shift here in the Buskirk-Chumley Theatre Box Office, I can’t help but get a little bit nostalgic. This summer at the BCT has brought an overwhelming amount of real-world learning experiences, as well as some laughable memories too. Throughout the course of my internship I have accomplished an array of tasks to put under my belt: (clumsily but ultimately successfully) updating the front marquee, almost running into Kevin Bacon, managing a film festival, and much more. I never could have guessed how much I would truly enjoy working at this beautiful landmark of Bloomington and I would highly recommend stopping in to see a show before leaving IU. It is well worth your time. My last event shift of the summer was house managing for Middle Coast Film Festival, an interactive film festival with screenings of international and national short and feature films. This was the second year of the festival’s existence here in Bloomington and I believe it was an overall success. The festival was held at multiple locations throughout downtown Bloomington, but I was solely responsible for managing the events at the BCT. Although there were a few glitches along the way, it was a completely enjoyable experience to work with this artistic group of film enthusiasts. I even got to catch one of the feature films Men of the Cloth, a documentary about master tailors Nino Corvato, Joe Centofanti and Checchino Fonticoli who spent a lifetime perfecting the skills necessary to construct flawless custom-made suits for their clients, an alternative to corporate mass production. The film was incredibly fascinating and I would highly recommend it to anyone interested in fashion. If there is one thing I am taking away from this internship experience this summer it would be this; don’t be afraid to explore. This was my first summer here in Bloomington and I was completely surprised by all of the opportunities available for adventuring and having fun during this slower season here in town. As a part of my BCT internship training, we were encouraged to learn as much as possible about what Bloomington has to offer, so I tried to do just that. From trying new food at Taste of Bloomington, to riding bikes on the B-Line Trail, to star-gazing on the beach at the Paynetown State Recreation Area, Bloomington is an amazing place to be if you just take the time to simply explore it. So with an adventurous spirit in mind, I am heading into a new semester at IU and a new opportunity for learning more about the vast world that is The Arts. Thanks for keeping up with me this summer and I hope you get out there and explore for yourself too!